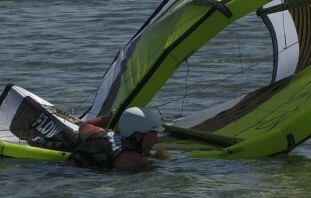 Since you are reading a Progression blog, chances are you are interested in improving your kitesurfing. One of the most valuable ways I have found to improving at any sport is watching yourself on camera. Many times I have found I don’t look anything like I thought I did! The jump that must have been 100ft high was really about 15ft high. The beautiful F16 that I finally landed looks more like an accident barely avoided. It never misses a shot. Initially I thought it would be best to start recording just before a trick and end afterward, but it turns out some of the best footage is unexpected. You can mark sections of the video automatically from the GPS tag so they are later easy to find. We used that technique in this video for the Caution Kite Camp along with footage coming from the lines using the Camrig line mount for GoPro. While it’s hard to see the full perspective, like you can get from a SoloShot, the line mount provides an interesting angle for highlights. On the camera side, there are so many great choices. GoPro is obviously fantastic, but I end up losing a lot of cameras due to all sorts of mishaps. A cheaper alternative is the SJ4000 which Amazon delivers for under $90 with several mounts included. 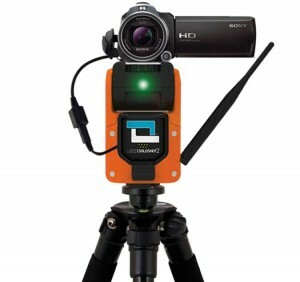 There are several similar SJ series cameras, some with wifi, that do a great job for the price. 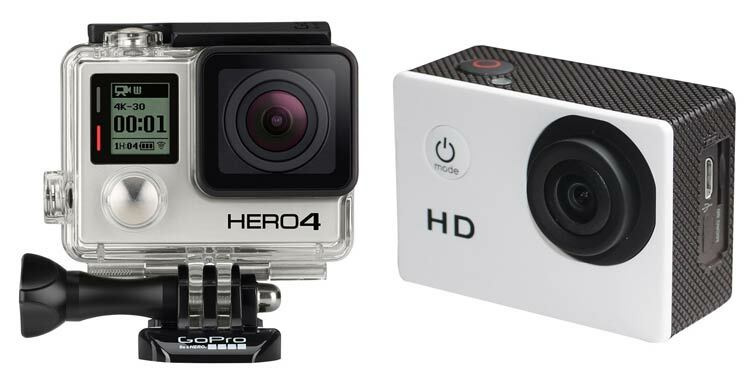 GoPro is still the gold standard particularly if you need 4k video, but the cheaper alternatives work surprisingly well considering the price differential and have a simpler user interface. A new filming perspective comes from the air. Using a helicopter gets a bit expensive! Fortunately, a new option exists to get this perspective in the form of drones. Filming kiting using a drone is a bit tricky – you need someone to fly the drone and with the more advanced drones, someone to operate the camera. Plus you are dealing with high winds and water, so a mistake can be costly. 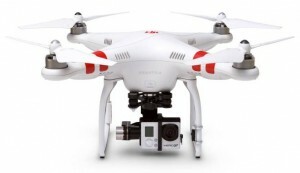 I have used the DJI Phantom quite a bit and it works surprisingly well even in reasonably strong (25mph) wind. Unfortunately, I lost my DJI plus GoPro in the river this season. A new option will be available soon called the AirDog. 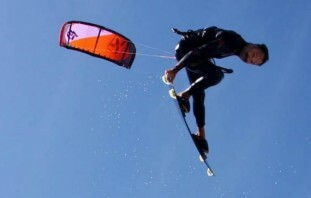 I’ve shot some preliminary video with the AirDog team using a prototype. The great thing about the AirDog is that the controller is drastically simplified (it fits on your wrist) and the camera automatically tracks you. 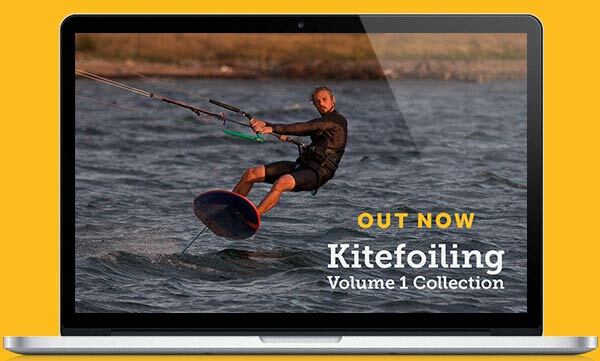 While I don’t have enough experience with AirDog and kiting to recommend it yet, the product shows great promise and I can’t wait to try the commercial version which will be available early next year. 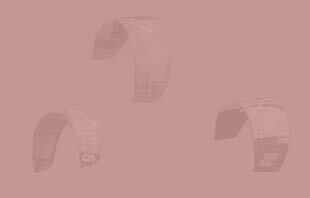 Another new product I am very excited about is called the Woo, as in Woo hoo!!!! It’s a sensor you mount on your board that logs the telemetry of your ride – your spins and jumps, and even calculates your jump heights and lets you compare with friends or become the king of the air for a particular beach using the Woo social network. The Woo will be available before the end of the year. I tried a prototype and it worked well. The industrial design is nice and operation was simple. 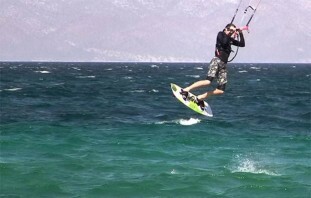 The team is focused specifically on kitesurfing as their first sport and has a great vision for the future of the product. Finally, there is a new app called Antix (currently for Android devices) that will automatically start your GoPro camera recording and then choose highlights based on movement of your phone. I have only briefly used the app and I would call my experience with it “beta quality”, but I think it shows promise as an approach to simplify editing. Finally, to complement capturing footage, so you can see where you can improve, you need a tool to help set your goals on a steady progression of tricks and techniques. The Progression videos (on DVD and through their Progression Player App) are the best I have found for doing that – I generally find a trick or two that I’m working on, write it down so I remember to try it, and then “debug” what I am doing wrong by watching my video playback and compare it to the Progression video. I’m really looking forward to the the Progression wave riding video so I can get even with this wave! A big thanks for Kon for enlightening us, its exciting to see so many inventions with practical and fun experiences for kitesurfers. Maybe a few Christmas present ideas too for those of you with deeper pockets. Share your experiences filming yourself on our facebook or twitter pages. And maybe there is some super cool new thing that even Kon is not aware of? Let us know! Disclosure: Kon is an investor in Caution, SoloShot and AirDog but all after starting to use the product and see their potential.